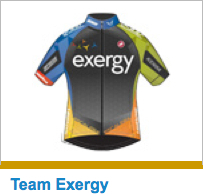 Major Sponsors of the Amgen Tour of California include Amgen, AEG. Event Sponsors include: 10Speed Coffee, Akamai HD Network, Bianchi, Bissell, Breakaway from Cancer, Visit California, Cannondale, Cliff Bar Coca-Cola, Crunchies, CyclingNews.com, Exergy, Hincapie Sportswear, Livestrong, Kenda, Michelob, NBC Sports, Nissan, Optum, Rabobank, RadioShack, Scott, Specialized, Speedplay, Spidertech, SRAM, STRAVA, Strider, Sutter Home, United Healthcare, Yakima, ZD Wines Napa Valley, Zipp. 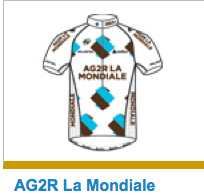 Sponsor: AG2R a French-based interprofessional insurance and supplementary retirement fund group, and La Mondiale Group, a French-based international group for supplementary pension and estate planning insurance. 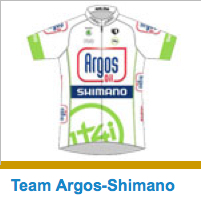 Sponsor: Argos North Sea Group, an independent oil company based in the Netherlands, and Shimano a Japanese multinational manufacturer of cycling components, fishing tackle, and rowing equipment. 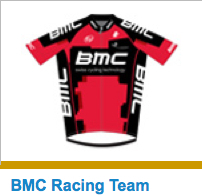 Sponsor: BMC a Swiss-based bicycle frame manufacturer. Sponsor: A privately owned vacuum cleaner and floor care product manufacturing corporation headquartered in Walker, Michigan, started in 1886, the company also owns Woolite®. 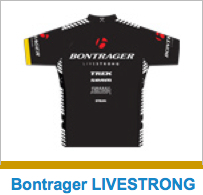 Sponsor: Bontrager owned by Trek Bicycle Corporation is a manufacturer and brander of bicycle components including tires, wheels, handlebars, stems, seatposts, and saddles, and Livestrong a foundation to support cancer research/cancer patients. 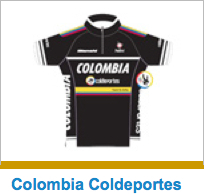 Sponsor: Coldeportes, Colombian institute of Sports – directly connected to the Ministry of Culture – whose mission is to enhance and support sports practice and education in Colombia. Sponsor: Exergy Development Group plans and owns commercial renewable generation facilities. 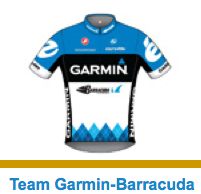 Sponsor: Garmin a maker of global positioning devices (GPS), and Barracuda a worldwide leader in email and Web security. 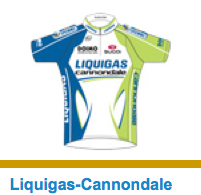 Sponsor: Liquigas, a provider of liquified gas products in Italy, and Cannondale an American bicycle manufacturing company. 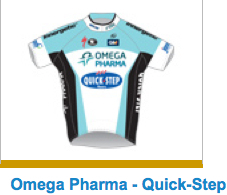 Sponsor: Omega Pharma a Belgian Pharmaceutical company, and QuickStep a manufacturer of laminate flooring. 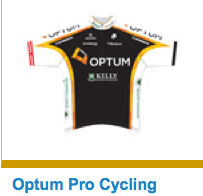 Sponsor: Optum a subsidiary of UnitedHealth Group, and Kelly Benefit Strategies a group insurance broker and consultant that specializes in healthcare. 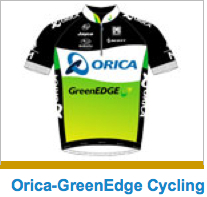 Sponsor: Orica Limited an Australian mining services, chemicals and explosives company, and Greenedge a group formed with financial backing from Australian businessman Gerry Ryan who owns Jayco Australia a manufacturer of recreational vehicles. 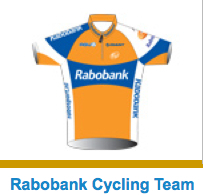 Sponsor: Rabobank is a financial services provider with offices worldwide. Their main location is in the Netherlands. They are a global leader in Food and Agri financing and in sustainability-oriented banking. 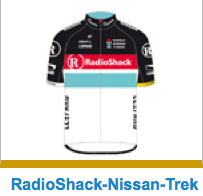 Sponsor: Radioshack a chain of electronics retail stores in the United States, as well as parts of North America, Europe, South America and Africa, and Nissan a car manufacturer, also Trek an American bicycle frame manufacturer. Sponsor: A Canadian supplier of kinesiology tape for rehab, performance, and recovery, and C10 an alliance of Canadian Businesses supporting Canadian sporting excellence. 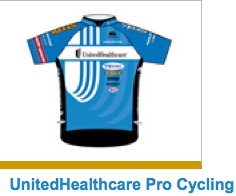 Amgen discovers, develops, manufactures, and delivers innovative human therapeutics. A biotechnology pioneer since 1980. AEG is one of the leading sports and entertainment presenters in the world. AEG, a wholly owned subsidiary of The Anschutz Company. 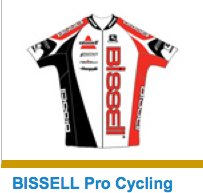 Thank you to Steephill.TV for publishing the preliminary team rosters. 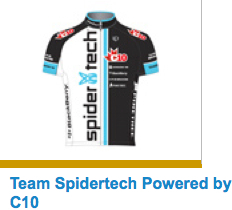 Cycling's elite descend on Amgen Tour of California By CyclingNews.